Welcome to the Round of the Saintly Sixteen! With Barbara’s defeat at the hands of Thomas Ken 67% to 33%, we’ve collectively narrowed the field down from 32 saints to 16. Now the truly hard work begins on the journey towards the 2015 Golden Halo. In this round, we move past basic biographies and delve into what we like to call “Quirks and Quotes.” We’ll learn some unusual facts about our saints and hear about them, either in their own words or in words uttered or written about them. Some of our holy men and women are quirkier than others and some are more quotable. As always, remember these matchups are neither fair nor for the faint of heart. If you want a bland Lenten devotion you’ve come to the wrong place. 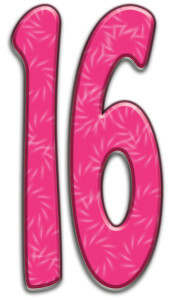 The Saintly Sixteen begins today with Brendan the Navigator taking on Thecla. If you need a refresher from the first round you can do one of two things: consult your handy Saintly Scorecard or click the Bracket tab and scroll down. Our Bracket Czar, Adam Thomas, provides links to every previous matchup meaning you can, with just a few clicks, access the initial bios. Now go read and vote. There is work to be done! Brendan lived a long a full life in service to God. His courageous and adventurous spirit led him to the ends of the world. The many hagiographies written to honor him speak to the inspiration he provided to the faithful. Even the most fantastic stories give a glimpse of his extraordinary character. A little later, they encountered a maiden of the sea. She was enormous — one hundred feet tall, nine feet between her “paps,” and a middle finger seven feet long. She had been pierced with a giant spear and had died. Brendan brought her back to life and baptized her into the faith. Upon baptizing her, Brendan asked if she would like to return to her home or if she would like to go to heaven. She answered, “To heaven, for I hear the voices of the angels praising the mighty God.” Brendan therefore gave her the body and blood of Christ and she died without distress. For five years they traveled without injury or incident. At one point they needed to find land in order to properly celebrate the Easter Eucharist. Brendan encouraged his friends with the promise that “God is able to provide us with land in any place he pleases.” God’s good pleasure was the back of a whale named Jasconius. Thecla is among the earliest saints of the church, and is often referred to as “Equal-to-the-Apostles,” for the fervor of her witness to Jesus Christ and the power of her example. 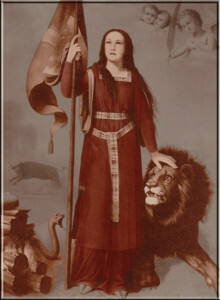 While the story of her life as documented in the Acts of Paul and Thecla may raise a few eyebrows – with its scintillating accounts of Thecla twice making miraculous escapes from martyrdom, including a notable self-baptism by throwing herself into a pool filled with ravenous seals – Thecla’s life and ministry made an undeniable and well-documented impact on the early church. Early Christians almost unanimously regarded Thecla as a protomartyr, even though she did not die a martyr’s death. In the sense that the word martyr comes from the Greek word meaning witness — one who bears testimony to their faith with the whole fullness of their life — Thecla most certainly meets that definition. Perhaps the great affinity for Thecla among so many came from the reality that in her, they saw a picture of themselves. In the portrait of a woman pursuing great risk to hear the gospel as preached by Paul, early Christians could see the risks they bore in order to hear and preach the gospel. In the vision of a woman who the powers of the world would have put to death many times over, they found an exemplar for what it means to be a witness to Jesus Christ, even at the cost of their own lives. 205 Comments to "Brendan the Navigator vs. Thecla"
As a world traveler, I have to go with fellow traveler Brendan. The world is large, and God calls us to see its wonders. I vote for Thecla because she looks like a warrior and she almost died and didn’t. Oliver, I look forward to your comments every day. And I voted for Thecla too. Brendan for the Golden Halo! Come on, Brendan! Navigate your way ahead! Not much to like here. Two people who did not do what legend says they did. Pure myth. One of these two will be defeated by Francis or Cecilia in the next round. i am with you. Neither impresses nor inspires me. Ditto! I am likewise unimpressed by either one! There is a time and place – and bracket – for legend! i have to concur with both, Marla and the above, one of these two will appropriately vie for the lesser title of ‘legendary’ saint. However mox nix to me which. I voted for travel, just because. As an English teacher with a specialty in rhetoric, I believe there is indeed a place for legend and story. One hopes to find more than mere historicity here. Stories are transformative, can be received on many levels and may not be factually convincing, but there’s still truth to be discerned. Of course it’s not an either/or matter when reading something as huge as faith. There’s plenty of room both/and. When reading these two stories, I fo myself wondering about the cultural contexts in which they gained power to be retold. I wondered about what it was like to be a receiver of those stories when they were first making the rounds orally and serving a variety of audiences and purposes throughout the years. I voted for Thecla because of her proximity to early days of a new faith. Now I am going to dig a little deeper to try to find out what was in the book about her. Blessings to all saints! Sorry for typos. I’m writing on my iPad and can’t touch type well. Auto-correct is not my friend. Check out http://www.pbs.org/wgbh/pages/frontline/shows/religion/maps/primary/thecla.html Also, Google Acts of Paul and Thecla, and one of the top hits is a PDF of the document. Interesting. Which is why I’m voting for neither. I find little to inspire me in either of these curious individuals. Yes, I’m finding little other than pious legends with the descriptions given of either Brendan or Thecla. Historicity, please! Both have been over-embellished, and are less than inspiring. But looking to the secondary attributes, I like the story theme “don’t complain, things could be worse” (Brendan) slightly better than the “denial of all fleshly sentiments” (Thecla)… Brendan it is. Even tho I am a former sailor my vote goes to the one from scripture. I wouldn’t necessarily call the Acts of Paul and Thecla “scripture”…. There is good reason why the “Acts of Paul and Thecla” is a non-canonical writing! I was set on voting for Brendan, but ended up voting for Thecla. Must have been the seals. Two fantastical saints – I love the stories. But setting out into the unknown sea opens you to far more dangers than ravenous seals. Plus, Brendan has a much more musical name. We gotta sing about these saints, you know. God providing land on the back of a whale is such an apt metaphor I had to vote for Brendan. “I am a servant of the living God, and as to my state, I am a believer on Jesus Christ his Son, in whom God is well pleased.” That does it for me! I wouldn’t want to mess with a giant sea maiden with a seven foot long middle finger – I can’t even conceive of the road (or sea) rage potential there. Besides, I’ve always been partial to Brendan. The first hymn I ever learned was “Eternal Father strong to save..” (Thanks to Noyes Fludde). So this one I can navigate with ease. I voted for Thecla. Women, particularly women mystics seemed to be discriminated against in the first round. If even Teresa of Avila (who celebrates her 500th birthday this year) couldn’t survive the first round, what hope is there for any woman to win the golden halo. I hear that! Sisterhood is powerful! Let’s stick together. Thecla it is. And, between her and Dorcas, I’m not sure who had to deal with more taunting for having the ugliest name of any woman around! My sentiments exactly. Thank you. Did you know there were far more desert mothers than desert fathers? Mary Earle told me that this morning on a C D I listened to on the way to work. Go Thecla! Totally, Nan! While a male’s story might be represented as courageous for setting out (rather foolishly) for the sea, a woman’s story comes off as overly “pious.” We need to be good readers! I was crestfallen when Theresa lost. Go, Thecla! I’m more inspired to follow the single-minded Thecla than the guy who didn’t ask for directions and basically sailed around in a circle for several years. Yes I am really laughing out loud. I will have to explain the raucous outburst to my lovely husband king who adores sat navy and GPS devices. At risk of being in violation of the lighthearted ethos of Lent Madness, I wd note that Brendan did, indeed, ask directions (of God) and stayed the course on his journey until God told him his mission was over ~ whereupon he went back to his first calling and founded schools and missions and monasteries. He has the mystical component, to be sure, but also the worker bee component. Both are wonderful! You said it! And he must have been hitting the mead pretty hard to come up with those fish stories too. WOOW! That one humorous ” slip” of the CBer pen about Brendan not asking directions has really haunted and hurt him! It’s too bad since her does had historicity. So sorry! I just washed my hands and can’t do a thing with my fingers! I meant that Brendan does have historicity. I admire a woman so beloved by God even ravenous seals wouldn’t eat her. The Eucharist on a whale’s back! Love it! Sail on, St. Brendan! Sorry, just can’t deal with the ravenous seals! Thecla for the golden halo! Even though I realize Lent Madness isn’t at all about me, I can’t suppress the influence of my Irish roots, my love of the ocean, nor the saltwater that runs in my veins as a resident of a seaside Town. I can’t resist Brendan’s stories, and I get the truths they represent. Thecla was my choice in the first round, but this time Brendan wins my vote. Thecla for me. If Gregory the Illuminator had won the first round against Brendan, I would have voted for him. Thecla provides to me a greater example of the life in service to God than does Brendan the Sailor Man. Thecla is too important to the threatened Syriac and Aramaic speaking Christians – in Syria, Turkey, Lebanon – for me to ignore her today. Thanks for that information, Tutu Lois. That tipped me over to vote for Thecla. Another thank you to Tutu Lois. Prayers for all of our middle eastern Christians who currently suffer persecution. Remember the Sisters of Ma’loula who care for Thecla’s shrine. Brendan it is for me! He stands in our church foyer with hand poised upon the rudder of his boat. Which, by the way, most of the younger set enjoy a short boat ride on each and every Sunday. Hoist the sails and away we go, Brendan the Navigator! Navigate me on the true course. I love Brendan. I named one of my sons for him. I wouldn’t name anything Thecla. Really? Anchor=hope for Brendan the Navigator. I love Brendan. I named one of my sons for him. Well, I like to travel light and so did Brendan (even before the ravenous airline beasts started charging for checked bags) but my vote goes to Thecla, the original Do It Yourself Baptism woman. The airlines are the new dragons. Anyone who meets a giant mermaid and baptizes her has my vote. Talk about inclusion of diversity in the church! I love the stories of both these Saints and voted for each of them in the first round. Oh, the madness of choices! Brendon and Thecla have led me to ponder the risk early Christians took as the navigated the waters of a pagan world. What great examples of risking all to follow Jesus and of God’s saving grace! I will vote for Thecla to honor the women who were also Apostles but were left out of the Canon of Scripture. She must have been every bit as impressive as Paul! Thecla’s story, which was new to me, is inspiring! I voted for her last time and she continues to impress and inspire me. Brendon’s meanderings seem more like a way to test God’s faithfulness . I liked them both. Tough choice, but in the end it’s Thecla for me. There’s too many others that are dissin’ her. I love the fact that Thecla is scriptural and an example to common life. I thought Brendan would be a shoo-in for my vote, but Thecla gave me pause! However, Brendan won the day – for me. Not looking good for him overall right now! Servant woman, woman warrior; an apocrophal sister. Without early Christians of such passion where would we be now? Having voted for the Illuminator in the first round, I voted this time for Brendan as Most Improved, in thanksgiving for the supersession of “Hahaha, I never asked directions” by “Into your hands, O Lord, I commend my spirit; save me, O Lord my God.” Just goes to show that even when it comes to last words a second chance can be transforming. I suppose I should add a disclaimer to the effect that my vote has nothing whatever to do with the fact that my great-grandfather John Jackson Davis, the Marine from Skibbereen, is said to have earned his U.S. citizenship through service on board the Constellation during the Civil War. Nor is it against women, who I agree have been getting the short end of the Golden Stick this year, or against Iconians. Indeed some of my best friends, including Fr. Tim, are iconic. I see the comments are starting to get snippier and more holier-than-thou this round. Oh well. This was tough, but Thecla won out. Sorry, Frederick Buechner. Gosh, Charles, I hope the placement of your comment after mine is just an unfortunate juxtaposition. I certainly meant no offense. But even looking back over all of today’s comments so far, I don’t find the ones to which you refer — certainly not by comparison with several of the viperous depths of Round One. I would add that some are taking this way too seriously. Lighten up folks. It’s just a simple Lenten exercise in getting to know some past people of faith. It’s not a culture/social/gender war! It was a hard decision but I was won over by Thecla, who despite going up against ravenous seals, was determined to be baptized. You go, Thecla! I must say that I don’t understand the lack of hand wringing and theological head shaking over Thecla’s self baptism as compared to the conditional rebaptism scandal of a couple of days ago. As a life long navigator, I must vote for Brendan. For unlike him I never in 30 years headed to sea without provisions. I have great faith in God, but fail that high mark. He is therefore a saint to inspire and a great one for me! Just a note:The quote in the lead paragraph of today’s posting (“Run with perseverance… “) is from the anonymous book of Hebrews. While Paul has been suggested as the author there have been others including Barnabas and Apollos. Best to just refer to the book. Thekla for me! Not only do I relate, but she is the name of what was my brave, faithful cat. This definitely sets her apart! The additional information about Thecla in today’s blog made me admire her even more. I didn’t find the “ravenous seals” as unbelievable as some since we have historical evidence of the Romans throwing Christians to all sorts of hungry animals (not just lions). The seals got a whole lot more credible when I realized — though I don’t claim to be an expert on seal-exploitation — that all you probably have to do to make a seal ravenous enough to eat a saint is to starve it. The Romans certainly were capable of that. Both good candidates but had to vote for Thecla. She speaks to me. Tell ’em, Donna! Since it’s so close to St. Patrick’s Day (and I’m of Irish heritage, so probably a little biased!) I was really hoping for Brendan and Brigid in the finals. But Brendan’s definitely not a loser. What faith. Brendan’s never a loser but I also hoped that the St. Patrick would pull some strings for Brendan and Brigid. Oh well. A man may take to the sea alone without provisions….but to insist others do the same is not my style of evangelism. Many prayers were said as I reviewed my primitive calculations (pre-GPS) . This was pencil and paper stuff. I have to give Brendan the nod. Seals again … vs. “You speak like ignorant rustics.” How fun! When I was still a teenager and teaching Sunday School, one of my students asked me, “Does God love Satan?” In the few seconds I had to come up with an answer, I assured my student, “Yes, God loves everybody, even Satan.” The idea that even Judas gets a sabbath rest from hell gave Brendan my vote today. I always vote first and then look at the results and the comments. I’m stunned by how far ahead Thecla is. I didn’t vote for her in the first round, either. Mysteries never cease! Well, it does seem both of these people did indeed live: Brendan all over the aisles founding monesteries and churches long before going off (maybe) on fantastical voyages. Then again, to get around the Isles rather necessitates interesting, if not fantastical, voyages. Thecla either really did live or is representative of other women who chose Christ in the first century and suffered for it; I suppose the embroideries helped those suffering to think, if they could do that, surely I can sing before the lions or gladiators or crucifiers or whoever the authorities are sending to kill me. The comment of Thecla’s and other saints’ stories giving strength to our suffering siblings now in Syria, Pakistan and so on is compelling. Though it doesn’t sound like Brendan used his anchor very often, I’ll go with his willingness to set sail in the Lord’s service. Read Tim Severin’s The Brendan Voyage, 1979. The hagiography reads fantastic, but Tim’s recreation of the voyage following the sources gives credence to the liklihood that Brendan and others actually sailed to the New World long before Leif Ericsson and the Vikings. And I seem to recall he quoted some Viking complaint that they were finding a papar (priest or monk) on every rock across the Atlantic. Thank you for the recommendation! I may have to start opening a tab with the library’s catalog/hold system whenever I read the Lent Madness comments. There are some good book suggestions here. Excellent book! Read it when it was first published and, coincidentally enough, just re-read it in January. Brendan was so much more than just a traveler or explorer – he founded so many monasteries and cells for monks, taught, and took the faith to so many lands, especially the west of Ireland, but not limited there by any means. It’s funny, as I read the comments, I get the feeling a majority seem to say they’re voting for Brendan, but he’s getting trounced in the voting. Theckla is inspiring, though. With strong appreciation of Millie’s comments, and honor for Thecla as an unsung Apostle, I offer these thoughts on Brendan. He did not just sail in circles and accomplish nothing. I went back to my beloved book: Celtic Daily Prayer and re-read the section on Brendan. It is titled “In Exploration of a Vision”. The gist of it is that Brendan followed a call from God to enter into a wilderness journey, letting go of everything familiar, and seeking “the land of promise”. To quote Celtic Daily Prayer: “Slight explanation surrounds all these happenings in the deep. Was Brendan’s voyage just vivid imaginings in his sleep? —- The distinction between actual events and interior vision and experiences is not always clear…….Yet real voyages were undertaken, and Tim Severin’s “Brendan’s Voyage” makes interesting reading, as time and again (the author) and his crew found that they were replicating experiences described so poetically in the Brendan accounts, that others had dismissed as fantasy.” So, my takeaway is that there was a physical leaving and journeying over the waters AND there was a spiritual journey deeper into relationship with our Beloved ONE. I think I’m waxing on and on because I’m a bit troubled by the disdain I hear in the comments about “fantastical” accounts, which to me are merely attempts to explain with words the inexplicable encounters with God. And there seems to be a thread of belittling mystical experiences in favor of those who actually “do something”. Susan, I deeply appreciate the depth of your research and sharing about Brendon! After reading this I almost wished I could change my vote. I loved the stories of both these saints, mostly because of the great truth of their witnesses expressed in the myths. I’m one who has struggled with some of the “fantastical” reports in the hagiographies and my struggle has been part of my spiritual journey this Lent. While Brenden’s adventures sound, in part, an attempt to describe his inward journey – beautifully so – others just sound like the politician’s publicity agent hawking them for Sainthood or something. And yet, I am coming to see the great struggle of the early church to spread the Gospel in the early years in the midst of much competition and highly possible persecution. Possibly these stories invited and encouraged Followers to recognize God’s presence and saving grace. I’m still working on this! Thank you Susan! I’m most drawn to Brendan. I grateful for your great defense and history of his life. Thank you, Susan, for writing so eloquently in defense of Brendan. I, too, felt troubled by what seemed to be a disdain for myth as opposed to fact, and was considering a reply. Then you articulated beautifully so much what I was thinking. In our culture we are so conditioned to think of myth as equivalent to fiction, to be the opposite of truth instead of just another way of speaking about truth. Naturally that doesn’t mean that every detail of each myth must have a symbolic meaning, but I think it is just harder for many people nowadays to think mythopoetically. Brendan’s stories speak to me because he is an inspiring model of bravery and faith, regardless of what may or may not have really happened on his actual voyage. With all respect to Thecla, he got my vote. Thanks too for the info on Severin’s book. To sail out upon the seas of life, trusting in God’s grace… and finding it there upon the way. A journey for us all. I like how Brendan’s tales recapitulate Talmudic folk tales of the sea–all haggadic midrash on the sea monsters of Job (and implied in Genesis 1). I appreciate Thecla’s witness, but Brendan’s witness transformed a whole nation, and many people right up to the present. His great immram inspired and continued to inspire deep relationship with the Holy, as well as service to the Holy in others. Thanks for the new word of the day (for me) “imram” – although I still voted for Thecla. How can you beat Easter Sunday on the back of a whale? Yes, imagine the bunny hopping out the blow hole with foil-wrapped eggs for all. The image this brings is just tooo funny! A peep or two also, I hope — chocolate mousse, please. Or purple. Oh, yes! Must have Peeps! Thecla has some nice quotes, but to those who have commented about her being in the scriptures, please please please actually read the Canonical books of the New Testament! The Acts of Paul & Thecla is not there and not to be confused with the Acts of the Apostles which follows the four Gospels. Once again, I cast my vote for Brendan. Regardless of how fantastical his journeys might seem, I know from my late grandfather’s (1874-1961) stories that one can see amazing things after long periods of time on the high seas! And when we set out on the great Sea of Life, aren’t we dependent on God for our very breath as well as any other “provisions” we need? To me, Brendan is a beacon for all of us as we navigate the uncertain waters of life. Thecla is certainly an example to us – and it appears she will win today’s face-off – but Brendan captures my heart and my imagination, as well as my vote! I’m all in with Thekla. To honor Rev. David S’s son I vote for Brendan. Unimpressive…voted against both last round. Enormous maid of the sea ‘s middle finger…is there a message here?…and ravenous seals! I will just flip a coin! 1) Still a bit miffed about the “Groupie” comments from the first round. 2) I find it disturbing that many seem to celebrate the crazy but adventurous stories about the men in the bracket (like Brendan) and yet dismiss the crazy and grisly stories of women being greatly harmed by men. My heart goes out to these women just thinking about what must have actually happened to have inspired the stories about their torturous lives and deaths. 3) “Ravenous” does not equal man- (or woman-) eating. I’m thinking Thecla was pretty smart to have jumped into a pit of ravenous seals to avoid being eaten by wild beasts. She knew her pinnipeds! I’ve noticed that the fantastic stories about men are more palatable than the fantastic stories about women, perhaps because the women are portrayed more as victims of circumstance while the men are more active. Thecla is the rare exception–she wasn’t locked in a tower for her safety. With both saints, it’s good to get back to encounters with God’s creation (even if they are seen as ravenous) instead of all that towers and beheading stuff. It was wonderful learning Brendan’s story, but I need to go with Thecla, especially since so many women have been defeated in the first round. Thank you Susan Boyer for bringing a beautiful perspective to what I also perceived as some “snippiness” bordering on belittling on both sides of the “issue,” something I am sure the SEC would disapprove. I have never encountered ravenous seals OR a 100 foot mermaid, but then I also have some problems with guys surviving an evening in a furnace at 10,000 degrees (F or C, take your pick). All of that said, Truth can be communicated in some pretty fantastical ways. With apologies to “Poetry Alive,” V: “Metaphors be with you.” R: And also with you. Vote for Brendan, a saint with class, nerve, and a star to steer by. Arrr! My son in Brendan the Aviator. and was named for this one. He was a saint who had a non-violent encounter with a whale; he was one of the first European visitors to Turtle Island, and unlike some others of ignoble memory, he came in peace. Oh that he had been the patron of Columbus, Pizarro, Cortes and the rest. Good point about Columbus, etc. Thecla has my vote today! Both of these saints abandoned safety — family, food, dry land — to be witnesses for God. Thecla’s story inspires me more because she was more than just a traveller and church builder. Without provoking conflict, she was a fighter who was willing to defend herself and her faith. Well, I’ve already stated my predisposition to Celtics and musicians, so of course Brendan got my vote (even though the biography didn’t mention that he was Irish). But perhaps I’m not reading these biographies in the proper spirit of whimsy. I know hagiography isn’t supposed to be the New York Times, but isn’t a 100-foot-tall mermaid stretching things a bit even for hagiography? I think people are voting for the ravenous seals rather than either saint. Just my impression. In today’s battle of David vs. David, I went with Mr. Creech. His quotes won me over. Gotta love a sailor who, at the risk of being tossed overboard into frigid waters, is not afraid to refer to his fellow travelers as “ignorant rustics”. Go Thecla! I am in a Lioness Club, and so I love that, in one version of where Thecla was supposed to be eaten by wild beasts, the Lioness in question did not eat Thecla but merely licked her feet. And actually defended her against an attacking male lion! I feel certain that I will be able to quote him before the day is over. I’ll vote for Thecla because she left wealth and comfort to follow a spiritual path that led to danger and suffering. Also, she’s revered in the Eastern church. The Acts of Paul and Thecla, the Gospel of Mary, and other early texts (ex. the Nag Hammadi library etc) probably didn’t make it into the canon because the people who were choosing were men who had a hard time accepting women as apostles, given their background and culture. Lent Madness gives us a chance to meet saints we might not otherwise know about. Wish I could vote for Brendan as well because Celtic Christianity is something I’d like to know more about, too. Susan Boyer, thanks for your explanation. I will certainly check out Celtic Daily Prayer. There are many reasons why something got left out of the canon of scripture. John’s Gospel barely made it and [if memory serves me] Marcion gutted most of the Hebrew texts. Yes, there was no doubt a male cultural bias with respect to inclusion in the canon. But to say that The Acts of Paul and Thecla and other works “probably didn’t make it into the canon because the people who were choosing were men who had a hard time accepting women as apostles” makes it sound as if that was the predominant, if not the only, reason for doing so. And I just do not think this to be the case. Brendan, my dad the Navigator (8th Air Force) called him his patron! Steered him through many missions over Europe, through the fields of France, and safely home from Stalag Luft in Barthes. Tessa Lucero, one of the best-known Old Irish texts is a prose retelling of the Odyssey, so it was certainly known in the milieu where the Brendan legend originated. Another related source would be the genre of beast lore, which blended real and fantastic animals. One of the latter was Fastitocalon, a giant sea-turtle that floated on the sea. When mariners seeking dry land saw him, they dropped anchor and went “ashore,” whereupon Fastitocalon dived and they all drowned. 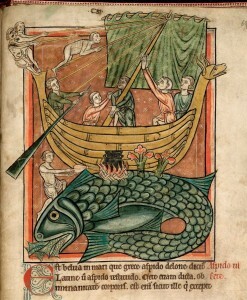 This was an allegory of the wiles of the Devil; the Brendan story introduces a whale, probably an allusion to the “sign of Jonas” and Christian belief in resurrection. Fastitocalon is best known to modern readers from a poem by J. R. R. Tolkien. I grew up with legends and fables and never dismissed them as mere fantasy…any more than would I dismiss Jonah’s whale as mere fantasy…. But I went with thecla this time…found her devotion too much to ignore. Blessed with a long life, active late in life, and a sailor – good stuff. I voted for Brendan. I voted for Thecia, she gave up her earthly possessions , wealth & comfortable life to follow Jesus. Thecla and the ravenous seals is no harder to believe than Daniel in the lions’ den. Very true. Maybe he was a lion whisperer. No harder to believe than the sun standing still until a battle was finished, etc. Brendan, the Saintly monk from Fenet,Ireland was the very first to sail to the New World beating both the Norse and old Chris. Columbus actually studied Brendan’s Navigatium (sic). Good on ya Brendan me lad. I think the story portrayed here about Brendan is the hands down winner. However, I voted for Thecla because I stumbled upon her story while I was living in Turkey last year. 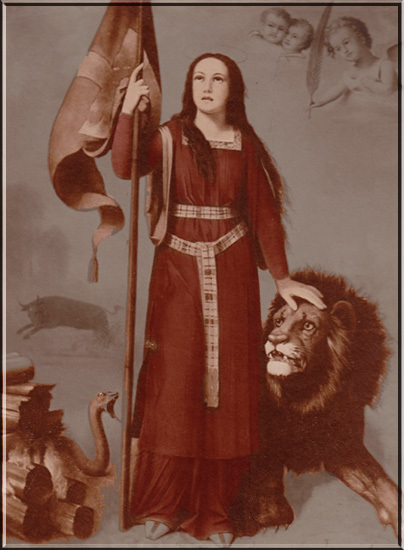 I’d never heard of a St. Thecla and started researching and was drawn to find the town of Konya where she hailed from, and one of the towns she is reported to have died in the Mersin region called Silifke. Sadly I never did find the precise little spot of her death, though it is said that pilgrimages were made to the site for hundreds of years. I find her inspiring. Partially my inspiration comes from seeing where she came from and living in that (still) male dominated society. To break free from her father and her fiancee and LIVE, is a miracle in itself. That Paul’s words so penetrated her heart that all she wanted was to bear witness to Christ in that rocky land, moves me indeed. Having seen the women there, I can only imagine how inspiring it must have been to them to have an independent woman come and talk with them about God and their worth. Someday I will return and find her. In the mean time I pray for her singleness of heart for that which is true. “Thecla gained a massive “cult-like” following, and became perhaps the most prominent figure for female empowerment at the time.” Go Thecla! The timing is rife with life despite hot and cold gales while perched on a slippery boulder. My 10 year old car died and I savoured my chance to buy a dream come true. I bought an astonishing new little white Mercedes. The model I chose is….The CLA…. “not as many as this little car already did!” And then the nice people laugh. sets a most admirable standard! Hard to lose either way with this one. I love Brendan so much that I almost named a son Brendan. But Thecla for me this time. Go, women mystics! Today, perhaps in honor of the upcoming celebration of all things Irish, and for those who brave the seven seas I shall vote for Brendon. I seem to remember a joke with a punchline involving God providing the boat and the person not realizing that he had to row. Leaving for the trip with no food for the crew doesn’t inspire me. Even Jesus started with a few loaves and fishes. Thecla it is. Don’t I recall a story about Jesus sending out a bunch of disciples, 70 or so? and telling them not to take extra things but to trust God to provide the places to stay and the people who would feed them. I could be mistaken. While swimming with ravenous seals does have a certain appeal, Eucharist on a whale’s back can’t be beat. Brandon gets my vote today…and my first ever comment, too. And my first typo as well…BrEndAn! “Thecla remains among the most celebrated female saints of the earliest ages of Christianity” – vs. the guy who didn’t bother with packing and couldn’t stop to ask for directions? (I kid, I kid.) Thecla it is! Hmmm. I want Thecla to advance – but I want to vote for Brendan. It’s because of my seagoing ancestors; I just can’t resist tales of wooden ships and long journeys. I will wait till later and when I’m sure Thecla’s far enough ahead, I’ll vote for Brendan; it’s the only way I can work this one out…. Despite the name similarity, I must go with Thecla. Brendan’s adventures seem a bit foolhardy (who goes to sea without fresh water and food?!) And a whale’s back is not my definition of land. Guess I’m just too practical. Trusting in God’s goodness to provide for a venture that God calls to seems foolhardy but leaping into a pool of ravenous seals is okay? I really don’t get it I guess. Faith and Bagorah! Your assumption is right on! Donahay before I was Devlin. I’m of Irish descent, myself! Looking forward to next Tuesday, except for all the American idiots who don’t know what the day is really about. I tend to stay home and have people over for some colcannon and lamb or roast pork, watch The Quiet Man and/or Irish movies that I’ve collected. Tough break for Brendan today. Got room for one more? My kinda man — we don’t need to wear green cause we are. Always room for one more! The only down side this year is I’m going out of town, so I’ll be with friends in Indianapolis. Maybe next year! Oh, and I almost always wear blue on St. Patrick’s Day, since blue is the color that was first associated with him and is the official color of the Republic of Ireland. It’s fun to let people know that when they as why I’m not wearing green (which I do, sometimes, on St. Patrick’s Day and often during the rest of the year!). Exercising girl-power in the 1st century….she must have have had some great truths attached to her or else she would have been wiped out of history long ago. I also love the adventurous traveler, using Christ as his navigator, the ultimate adventure. Love both. Voting for Telco. This match was very difficult to me. The main thing it has done is to inspire me to read more about both of these saints who trusted so completely in God’s love and the provenance of Providence. That great trust is what I need most as I navigate the uncharted waters of retirement, not physically strong enough to continue the beloved work to which I was called, but still desiring to serve God and God’s children with all that I am. I think I’ll vote for Thekla, my sister in the faith, but with great love and appreciation for who Brendon was and what he did as well. I did not vote for Thecla the first time around. I did this time, but not because I did not hold Brenden in highest regard. I have thought a lot about my previous vote and believe that I did not consider how much devotion Thecla had for Christ and what a cost she paid for her beliefs. Thecla is a very important saint in the Eastern churches! Yes, and to everyone, or should be! I went with Brendan, though, but it was a tough call. Voted for her in the first round. There was no explanation of why Thecla was standing between a lion and a snake (unless they were actually strangely shaped seals?). Nevertheless, my cats said, “That lady is standing next to a lion, and while she did throw herself into a pool of water, that’s a lot less water than Brendan encountered.” So they said I needed to vote for the lion. I’m going with Thecla, after much debate with myself. I think it is extremely important to remember that even Paul, who so many mistake for a misogynist, worked closely with women. Still hoping for Brendan. Tired of hearing about ravening seals. 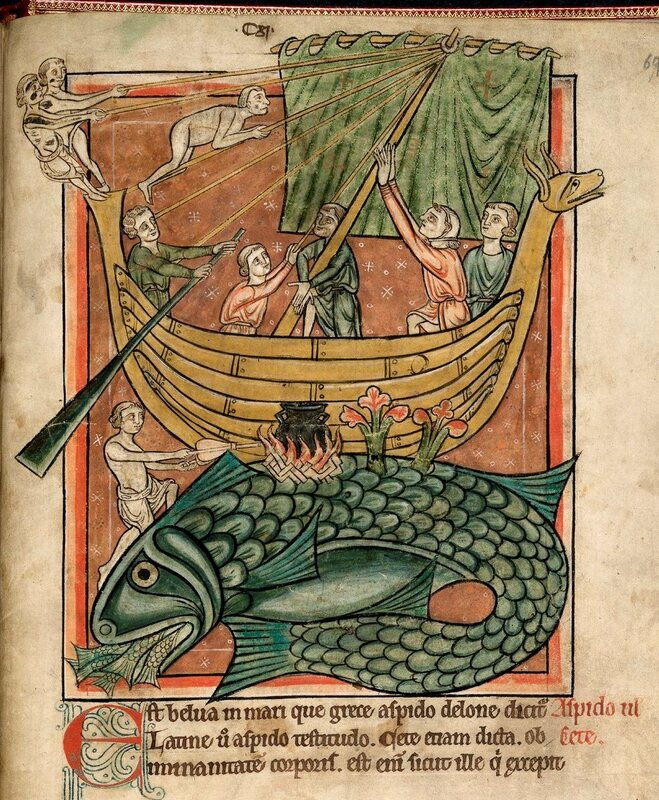 The power of St. Brendan was in daring to take the voyage God choose for him. My parish is a defining point – we have to get in the boat we have been called to and trust God! I remain surprised that people seem to believe the story of Thecla is in the canon of Scripture. It isn’t. Oh, it’s almost St. Pat’s Day and Brendan helped keep the faith and spread it afar. Jane, I’ve been saying that for awhile, glad someone else thinks like that. I was personally hoping for a Brendan vs. Brigid final! That would have been hellish! A little later, they encountered a maiden of the sea. She was enormous — one hundred feet tall, nine feet between her “paps,” and a middle finger seven feet long. She had been pierced with a giant spear and had died. Brendan brought her back to life and baptized her into the faith. ok- REALLY? i find this hard to believe or is it some kind of allegory? it’s absurd. i think i voted twice. once early this morning when i was barely awake, and once now, but both for Thecla, you may remove a vote for Thecla, but I don’t think it will make a diff at this point! and may i ask …what is a “pap”? i am thinking breasts, but maybe not. Yes, that’s right, linda m.
Michael- Frances Perkins got the Golden Halo last year and a year or so before that Mary Magdalan got it. Actually, last year it was Charles Wesley who got the Golden Halo. Frances Perkins the year before? I voted for Thecla and Brendan in the first round. Deciding between them was a challenge.Went with Thecla. For what it’s worth, it is very difficult to say Saint Thecla 5 times really fast. I went into this thinking I would vote for Brendan, but I was disappointed by his quirks and quotes. What about his sympathy for Judas? His arguing with demons to extend relief for the traitor? What about him telling his shipmates, “Pull in your oars and let down the sail. Let God take us where he will”? What about his conversations with birds – those same birds who would sing the Divine Office? And how about some more about him reaching the Island of the Saints, “where there is no shadow of night because Christ is the eternal light”? That same Island that some think might have been Canada? Ask Tim Severin about that! P.S. I don’t understand all of these comments bashing legend and myth. When we talk about Christian saints, we are in the realm of hagiography. Without hagiography, Lent Madness would quickly become prosaic, tired and dull. Hagiography is part of what puts the “Madness” in Lent Madness. Without it, Lent Madness would just be Lent. Really, Daniel? “What about his sympathy for Judas?” I seem to recall someone saying we should love our enemies, or some nonsense like that. : ) He just did what was expected of him, or else Jesus wouldn’t be Jesus, would he? On to the next round! Thanks, Robert. As you say, I thought we were supposed to do that sort of thing. I keep getting this stuff wrong. had to go with Brendan today, living by the ocean….and loving to be out on the water……..he gets my vote!! The posts have helped me grow in appreciation for the older mythic stories. I have had no trouble with towers or magic boats or hungry seals or self baptism or…and I keep coming back to the idea that what seems like over the top violence in the stories of the young women martyrs may be a memory trace of very real acts of torture. I don’t have the mind of a third or fourth century woman and the repetition of the acts in the story seemed to take away whatever impact a less baroque telling would have had on me. But I want to thank the commentators for their reminders of the power of metaphor in faith. I did vote for Thecla, and may try to be in her corner until the Golden Halo is granted, for her courage and love of Christ. Finally. A fourth century female martyr that didn’t dump on her father. That’s all I wanted. I am amazed that at this moment Thecla is very much ahead of Brendan. I understand wanderlust, and also how terrifying it is to set off into the unknown with a well-packed suitcase. Hats off to Brendan for his travel and for spreading the faith – he gets my vote today. So. I’m thinking that perhaps next year we can have all the male saints on one side of the bracket and all the female saints in the other side. That way we will only have to put up with the gender-bashing comments for only one round- the final round. It does strike me that voting just on the side of gender is getting a little monotonous, if not oppressive. Just because others (males?) were oppressive in the past… does that make reverse oppression/bias justifiable? Thought we were supposed to be moving BEYOND bias…. I, too, am having a bit of trouble with the gender issues. This is my first year with Lent Madness and I do enjoy the friendly competition, but some of it seems other than friendly. I can buy into the “ancient vs. modern” a lot more easily than “female vs. male.” I’m going with Galatians 3:28. Friday blessings to all! Should you ever travel to the Faroe Islands, go to a place not far from Torshavn, known as Kirkubor (pronounced Churchubor). This is a place which has three small churches, and the remains of a cell at the waterside. This is a bay where the tides and currents bring in driftwood and other flotsam from the sea. The name of the bay is Brandansvik (Brendan’s Bay). Brendan was not entirely legend, it seems.